W. S. Robinson is a contributor to Writers on the Range, the opinion service of High Country News. He teaches biology at Casper College in Casper, Wyoming, and recently visited Mexico as a Fulbright specialist in apiculture. I have felt the stings of killer bees. My first bee job was in Jordan, where the Holy Land race of European honeybee, Apis mellifera syriaca, is a Holy Terror. I showed up for work in khakis, sleeves rolled to the elbows, an outfit I’d wear to work fairly aggressive bees in the United States. My Jordanian partner, Muhammed, took one look and burst out laughing. We went to a tailor for thick-weave, heavy white coveralls, which I wore over my khakis, tucked into high leather boots in the baking desert heat. Still, merely approaching a Jordanian apiary inspired caution, if not downright fear. Our driver would wait in the oven-like cab of a pickup, windows rolled up. Even after we finished, we kept our veils on, bees bouncing off them as we hopped aboard the flatbed and sped away from the clouds of raging insects. Killer bees can be frighteningly defensive. A year later, I was working bees in Kenya, where in Swahili the honeybee is called “kali” — a word that means “fierce.” I was happy that I still owned my tailor-made coveralls. I dreaded opening the hive. The neighbors across the fence got even angrier than the bees. That bee belonged to the subspecies Apis mellifera scutellata, the African race dubbed a killer after it was introduced to Brazil in 1956. Twenty-six queens escaped from a research project there, and the bees flew north, interbreeding with more docile resident honeybees. But they retained much of their frighteningly defensive behavior. Tales of carnage the “Africanized” killer bees left in their wake were numerous and terrifying. Occasionally they were even true. People died. Luis Manuel Godínez-García, biologist at the Universidad Politécnica Mesoamericana in Tabasco, recalls when the African bees first hit southern Mexico in 1985. He told me of a TV news reporter who had to abandon his camera and tripod to the masses of stinging bees, leaving Godínez-García to recover his equipment hours later. “Even then, my veil was so thick with bees I could see nothing through it,” Godínez-García said. The African bee subspecies Apis mellifera scutellata is more aggressive than other subspecies. But surprise: The bees are gentler than they used to be. Not exactly kittens, but they’re manageable. I spent three weeks in Tabasco at the turn of the new year, and with Godínez-García worked many hives of Africanized bees. He knows how to keep the bees calm. He works with a team of two or preferably three people, uses a lot of smoke, and occasionally mists the bees with water to wet their wings and keep them from flying. There’s a combination of natural and artificial selection, on both humans and bees, going on in Tabasco. Many beekeepers accustomed to gentle bees abandoned the business upon the African bees’ arrival. A new generation took over, with different expectations about stinging behavior. People destroyed extremely defensive swarms, hiving gentler bees that over time spawned gentler offspring. 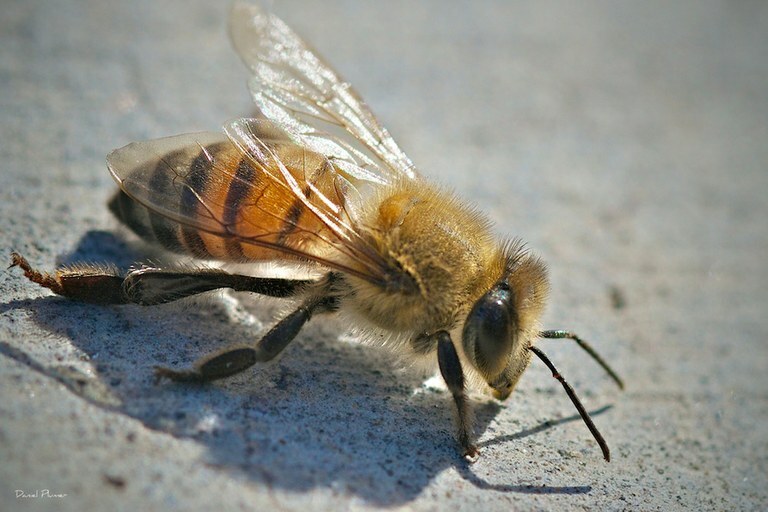 Godínez-García also encourages beekeepers to harvest bees from the forest, where natural selection has favored bees resistant to the mite pest, Varroa destructor. These mites are major contributors to the loss of European honeybees around the world, but in Godínez-García’s corner of Tabasco I saw no mites. Similar trends toward tractability are emerging in other places where the “killers” have appeared. 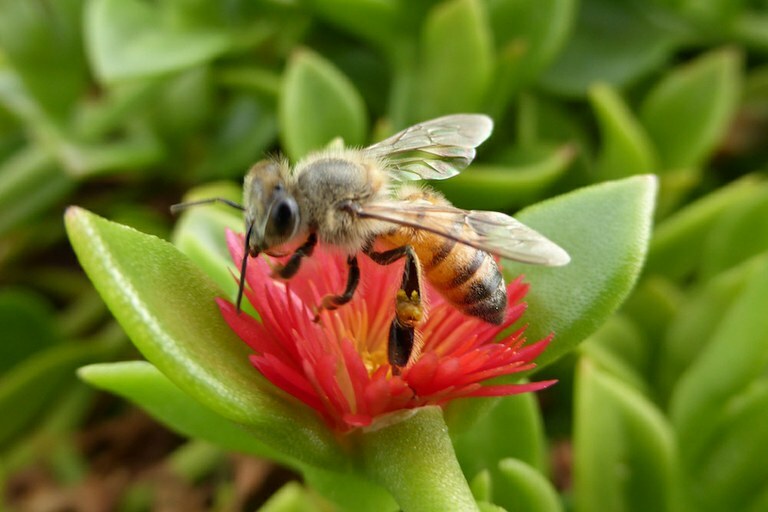 A recent genomic study in Puerto Rico found the Africanized bees that arrived there in 1994 have retained resistance to Varroa while evolving calmer behavior in very few generations. The bees exhibit mostly Africanized DNA, but have genetic differences reflecting their gentler European ancestry. A co-author of that study, entomologist Gene Robinson of the University of Illinois, said the Puerto Rican bees are “way over on the gentle side of the bee-aggression spectrum,” and far gentler than those in Mexico. “Genome sequencing has enabled these Puerto Rican Africanized bees to be genetically distinguished both from other Africanized bees and from other European bees,” said Robinson. These findings bode well for the future of beekeeping across the southern United States, where African bees are well established and the need for their crop-pollinating and honey-making services is strong. We may end up with a manageable honeybee that is resistant to mites. My new bee suit? It’s still in its plastic wrapping.